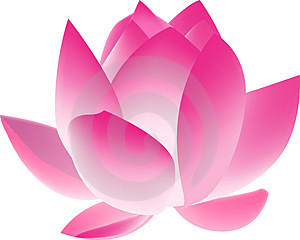 xWhat is Yoga Bloom Teacher Training? YogaBloom® Advanced Yoga Training is a programme that develops practical and essential skills for Yoga teachers. It is for practitioners who want to launch or refine a teaching career, or as a way to deepen personal experience. YogaBloom® is designed so you can study and complete the program within your own time and needs. YogaBloom® is a Modular approach which allows you to pick and mix, and tailor classt ime to your needs. This system lets you accumulate hours within your own schedule, and choose your focus and teaching style. Explore the vast wisdom and tradition of Yoga, gathering tools and insight into a personal journey and experience. Certification typically takes 12-18 months, but time varies dependent on curriculum, and personal motivation of self study – Svadhyaya. Will I be registered as 500RYT after this programme? If you are currently a 200RYT, you will have hours necessary for 500RYT status. 500RYT Status – if you are RYT200: requires a total of 300 hours: 150 Hourswith Cora Wen and 150 hours with other teachers. Online Class, Yoga Study Logs, Journals, and workshops must be completed to meet Yoga Alliance® standards. This Training was developed with an appreciation and desire to honour the wisdom and breadth of Yoga. It is important to provide an opportunity for yogis to practice and share the extraordinary teachings in a supportive and nurturing environment. Ease and flexibility works for modern lifestyles and bridges some of the gaps between theory and practice, between practicing on the mat and practicing in the world, and between learning and living as a whole. We are developing a community to share Yoga as a comprehensive and life-affirming tradition. Cora is dedicated to the Yoga practice and believes in its healing power. She loves to explore the deep connections of East and West ideas and concepts, and is always open to sharing the journey with others. The intention of curriculum, reading, practices, assignments, course requirements and thoroughness of process reflects a desire to instill excellence and discernment in a community and teachers. YogaBloom® provides a wide, in-depth, and personal approach to teaching how to share Yoga. Modules concentrate on developing specific skills needed to teach safe, effective and creative classes. Cora is committed to help others, and wants to encourage skills that create exceptional teachers and practitioners who embody Yoga. A community of yogis who lead and inspire others in the traditions and ideals of Yogic and Buddhist communities living in non-violence. 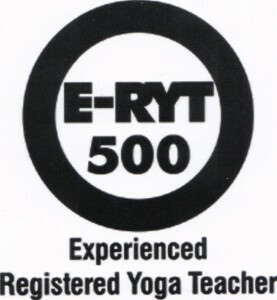 All teachers must be documented as an E-RYT, or have training in subject of minimum 100 hours of education and experience).